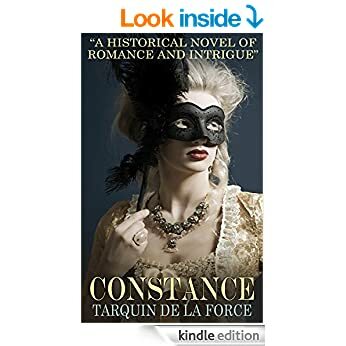 Contance is an aristocratic young woman in the time of Marie Antoinette and the French Revolution. A bad choice in an early love affair leads to terrible consequences. She finds herself torn between Sir Percy, a dashing English nobleman, and Alfonso, a Spanish count. But a dark secret threatens to tear her world apart as France descends into chaos and revolution. Constance is both a witness and participant in the great events of the age. Will Constance choose Sir Percy or Alfonso? And can she escape the terror of the Revolution? One amazing life. Two great loves. The world in revolution. I am a big book hoarder, but I already spend all my savings on books. One more can't hurt right? This book too looks like a must-have.